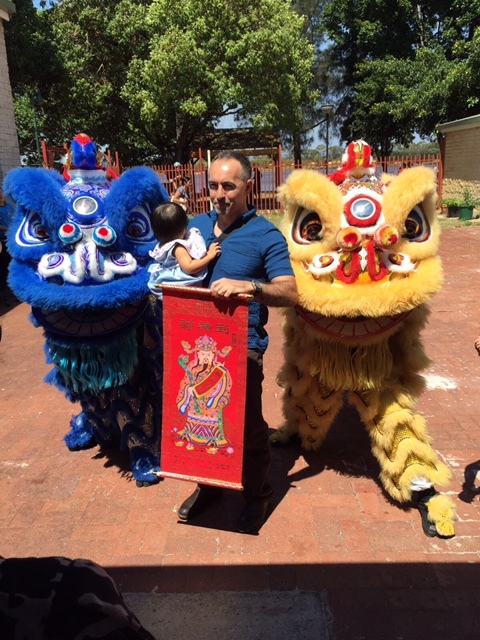 The Chinese Community Centre Lion Dance Troupe had the pleasure at performing at a baby’s 1st Birthday. The birthday was held at Banks Reserve, where a large number of friends and family gathered in celebration of the birthday. The lions entertained the guest, especially the kids, and presented the baby girl with a good luck scroll blessing her on the joyous occasion.